Elaine Cosgrove has asked me to take part in this event at the Bierhaus on Henry Street. Should be a lively evening. You can join the Facebook event here. 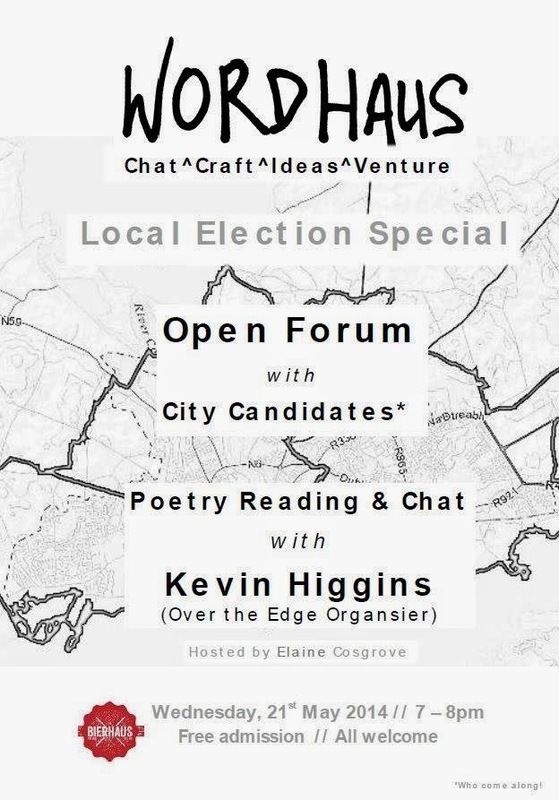 Following the forum, Kevin Higgins, local poet and Over the Edge Literary Events Co-organiser, will read some poems, and chat to us about writing and other things.